Hydrocodone, a medication prescribed by doctors, is very effective for relieving pain. However, a user can easily build tolerance and develop dependence for it. Once a person gets used to it, and starts to take it more often than prescribed, they can easily end up becoming highly addicted to hydrocodone. People that become addicted to this drug, often need inpatient hydrocodone rehab to safely quit using it. Many users that try quitting often fail because the withdrawal symptoms can be too uncomfortable to handle. According to the Drug Enforcement Agency, Hydrocodone is the most frequently prescribed opioid in the United States and is associated with more drug abuse and diversion than any other licit or illicit opioid. What are Some Benefits of Inpatient Hydrocodone Rehab? With inpatient rehab you can connect with other people who are on the road to recovery. Medications-assisted treatment: When it becomes necessary to control severe symptoms of withdrawal, the safest way to do it is by administering medications. These FDA approved medications, such as buprenorphine or naltrexone, have been proven to effectively ease the symptoms of withdrawal, and significantly reduce cravings for the drug. 24-hour monitoring: A trained medical staff provides daily supervision to monitor symptoms while receiving rehab services. You can be assured that if any emergency arises, they are there to immediately assist you. Safety: Inpatient treatment centers provide a safe and structured environment that is free of drugs. Therefore, you or your loved have no way of getting a hold of hydrocodone to use. You will be able to focus on getting off the drug without fear of any temptation to use again. Balanced diet: You can expect to be given healthy and nutritious meals. This is a great start to improving your health due to poor eating habits developed while using hydrocodone. Group therapy: Successful treatment also involves various behavioral treatment methods to help deal with the emotional effects that the drug may have caused. Some people that become addicted to a drug like hydrocodone may also be suffering from a co-occurring disorder, such as depression. 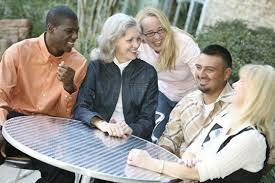 Group and individual counseling have proven to a helpful part of rehab. Inpatient hydrocodone rehab has many other benefits that are not listed here. Depending on the center you choose, and the severity of the addiction, there may be additional services offered to help you or a loved one to recover from the effects of hydrocodone dependence. How Long Does Inpatient Drug Treatment for Hydrocodone Addiction Last? The length of time that treatment for hydrocodone addiction lasts depends on the needs of the addicted individual. Some inpatient programs may be from 60-90 days, and even up to a year. Factors like length of time using the drug, amount taken, health of the person, and other factors can be deciding points in the stay of treatment. The best way to get any questions you have regarding hydrocodone rehab answered, is to talk to an addiction specialist. The sooner treatment starts, the more successful recovery can be.